MO is a future headliner in the making. For fans of alternative pop music she brings the bangers and live vocals. her killer collaborations. MØ brought Diplo out to perform/ dance battle to their hit “Get It Right” and Charli XCX for “Porsche”. 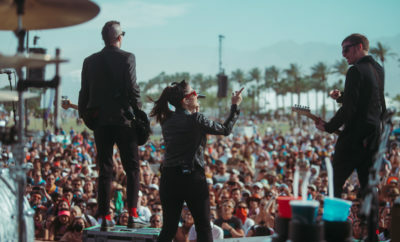 Lauren Jauregui surprised Marian Hill fans by performing with them at their Coachella set. They performed “Back To Me”, this is Lauren’s first time performing at Coachella. The Beyonce protégées can honestly stand on their own without the queen’s seal of approval. Their set was anything but average with absolutely stunning vocals. Obviously Queen Bey’s set was the major highlight for the Bey hive and Coachella fans alike. One of the biggest surprises was the reunion of Destiny’s Child who performed their hits. 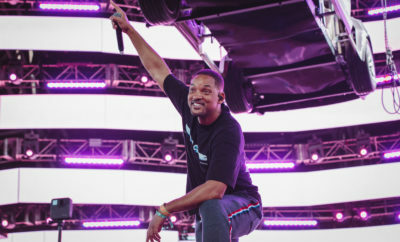 For these LA natives, their return to Coachella was everything and more. The sisters performed their hits and even drum solos to a vibrant massive crowd. Este Haim even recounted the story of her previous Coachella getting “accidentally drugged by Kesha”. ← Previous Story Coachella Day 1 Recap: The Weeknd, Kendrick Lamar Surprises, and More!